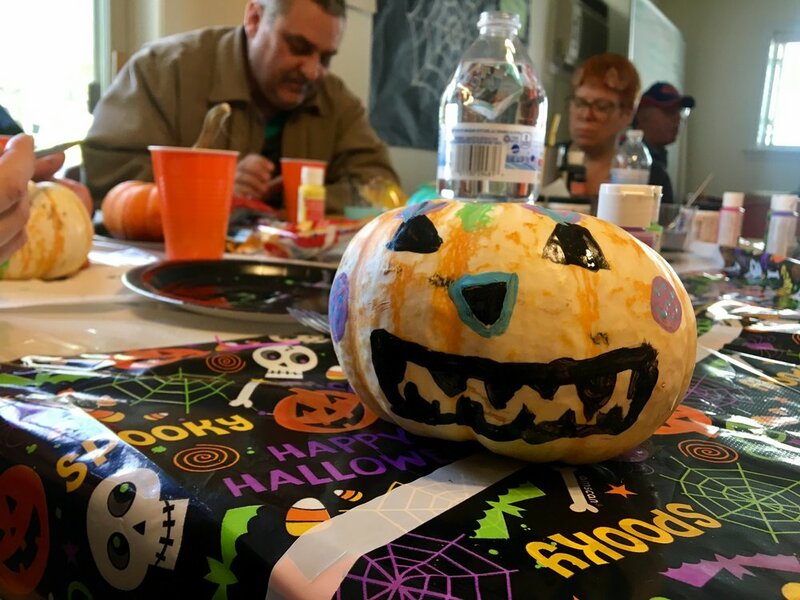 On October 31st, 2017 Impact Participants, Staff and Volunteers all came out to celebrate Halloween! There was a costume contest, pumpkin painting, food, and games. We had a great time and are already looking forward to next year's party. The winner of our costume contest! 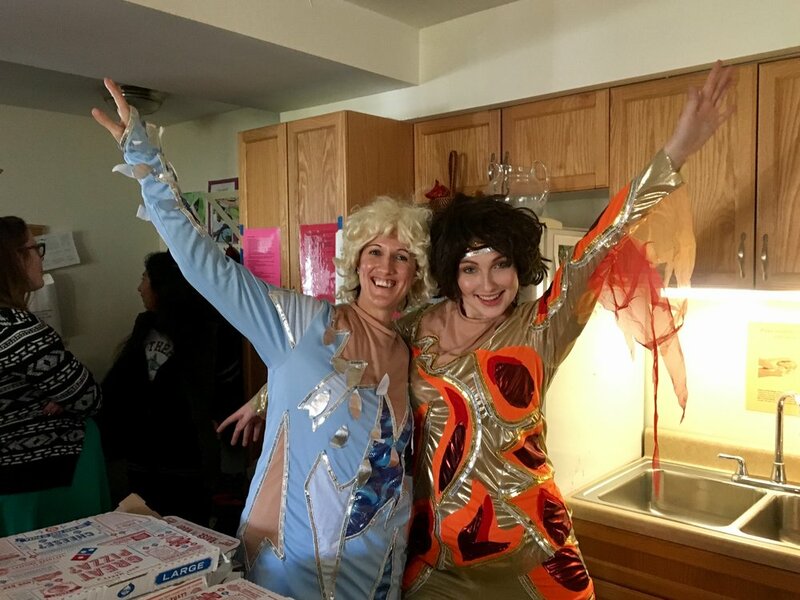 Impact's Clinical Manager, Kristin Johanns, (left) and Development Coordinator, Emily Young, (right) strike a pose as the stars of "Blades of Glory." Party attendees enjoy the annual Halloween Party!